BEIJING — Chinese state media will be getting more propaganda now that the Communist Party has announced it will be in direct control of broadcasters and the regulators of everything from movies and TV to books and radio programs. 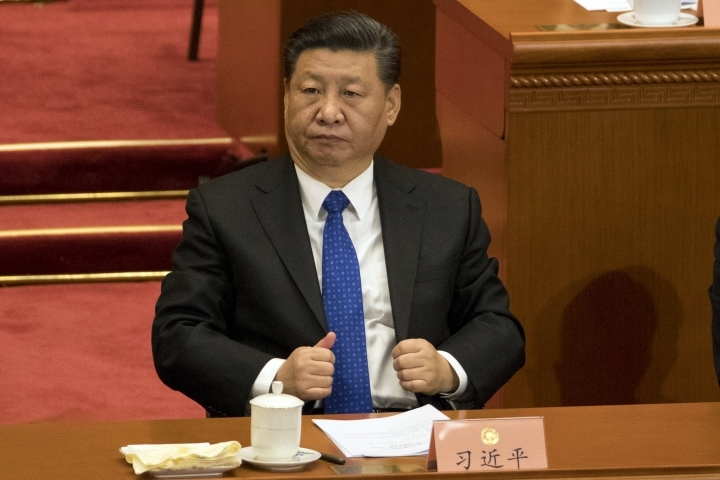 The move is part of a push by President Xi Jinping — emboldened by the removal of term limits on his time in office — to tighten party supervision over broad swaths of Chinese public life as he pushes for what he calls "unity in thought" among officials and citizens. Analysts say having direct oversight of the media will help the party hammer home its message domestically and also work to improve its image internationally. "It's one vast effort to get everybody thinking together," said David Zweig, director of the Center on China's Transnational Relations at the Hong Kong University of Science and Technology. Under the plan announced Wednesday, China Radio International, China National Radio and China Central Television, along with its international broadcast arm, China Global Television Network, will be merged into a new body with a name that translates to "Voice of China." The government's regulator of the press and print publications, radio, film and television will cease to exist and its responsibilities and resources will be transferred to the party's Central Propaganda Department, along with control over the film industry, including the import and export of movies. The new body's chief responsibilities include "implementing the party's propaganda guidelines and policies," the official Xinhua News Agency said. The Communist Party newspaper Global Times quoted government expert Feng Yue of the Chinese Academy of Social Sciences as saying the move will "concentrate the resources and authority to improve China's influence overseas and promote China's international image." 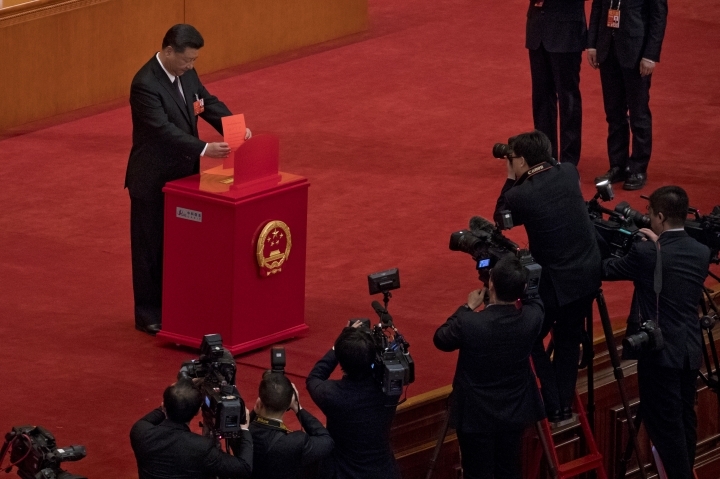 While Chinese media consumers have grown increasingly apolitical with an ever-expanding range of options, from foreign television shows to video games and online shopping, Xi has been steadily increasing the role of the party in the lives of many through new or newly invigorated branch committees in schools, offices and factories. That could leave ordinary Chinese with "little choice" but to become active consumers of propaganda, Zweig said. Writing on the website of the China Media Project at the University of Hong Kong, editor David Bandurski said the change gave the Propaganda Department — which formerly provided broad overall guidance of the media message — direct control over output. "And that is largely the point that comes through here — the tighter, more centralized control of media and ideology," Bandurski said. As its name suggests, the new media monolith appears modeled on outlets such as the U.S.'s Voice of America or Russia's Russia Today, now known simply as RT. Xi has repeatedly stressed the role of state media as the party's "throat and tongue" — the equivalent of "mouthpiece" — especially since a 2016 visit to Xinhua and other major outlets during which he further reinforced the message by saying such outlets must "take the 'party' as their surname." At the same time, China has faced opposition to its moves to consolidate territorial claims in the South China Sea and rapid economic expansion overseas, as embodied by Xi's signature trillion-dollar Belt and Road infrastructure initiative to tie China to Southeast Asia, Europe and Africa through roads, railways, ports and power plants. China has spent vast sums to boost its overseas media presence in recent years, with CCTV opening broadcast centers in Washington and Nairobi, Kenya, and the English-language China Daily newspaper paying to have itself included as an insert in esteemed American papers such as the Washington Post. Yet those efforts face an uphill battle in competing with well-established global media outlets such as CNN and the BBC, while much of the reporting on China smacks of party propaganda in contrast to reports about the country by foreign media outlets. Cao Peixin, a professor at the Television School under Beijing's Communication University of China that has long trained much of the country's on-air talent, said the reorganization fits the trend toward greater efficiency and media convergence, but would also help present a more unified political message. Integrating the various departments may not be easy, however, Cao said. "If the system cannot be established in a modern, efficient and very flexible way, it will be very difficult for many organizations to work in step," he said.